When you are in an emergency financial condition, you surely need fresh cash fast. Car title loans that now can be applied online are among the many options to get the much needed money. The availability of the lenders on the internet allows potential borrowers to apply for the loans more easily and more conveniently. They just need to fill out a short application form from the comfort of their home without being bothered by their credit score. Because most online lenders do not check applicants’ credit history, bad credit people can still get a car title loan. 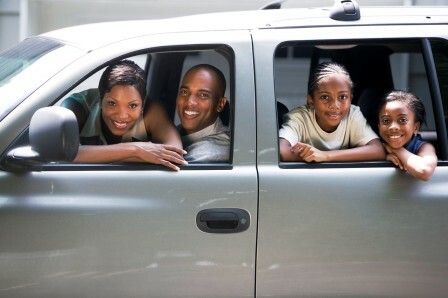 A car title loan is intended to give fresh cash fast to car owners. This loan is a type of secured loans in which the owners uses their car as collateral. Unless you have an ownership of your car, you cannot use your car as collateral. To get the loan, you should surrender the hard copy of your car title to the lender for an agreed period of time. Applying for a car title loan in this modern era has become much easier and simpler. You can apply for this loan either traditionally or online because lenders are usually available at store fronts and on the internet in order to reach more targeted customers. If you choose to apply online, you must fill out the application form online and then go to the nearest store to present your car, ID card and car insurance and to surrender your car title. A car title loan is a short term loan. You are expected to repay both the installment and the interest during a certain period of time. It is important for you to make sure that you will be able to repay the loan because if you fail to do so, you must surrender your car. This scenario is certainly the worst scenario but because it often happens, you must pay a serious attention to it. Among the other types of loans, a car title loan is one of loans that have a high interest rate. If you don’t want to pay for a high interest rate, you had better choose other loans. However, if you still want to apply, you can previously compare rates from multiple car title lenders to find a lender that has the lowest rate. Because each lender usually offers different interest rate, you surely have the chance to find the best rate.